AS THE General Council of the 160-member World Trade Organization (WTO) agreed on November 27 to a clutch of decisions constituting the “Bali package” there was palpable relief and barely concealed triumph by developed countries. Triumph because the package includes the trade facilitation agreement, or TFA, which they have been pushing since the WTO’s Singapore ministerial in 1996. As the first global trade agreement reached at the WTO after it was set up in 1995, the rich nations have hailed the November agreement as historic. In India, too, the approval of the Bali package is portrayed as a victory, which it is in a limited sense. It was India’s firm refusal to agree to the TFA unless its demand for public stockholding of grains for its food security system was incorporated in the final agreement that stalled the Bali package. Ultimately, the Bali ministerial in December 2013 approved it but with no clarity on how long India and other countries with existing food security programmes of this nature could continue to do so. Instead, the peace clause, or the time frame for permitting such public stockholding, appeared to be for a limited period till 2017. The peace clause means that other countries cannot challenge it at the trade body for the specified period. The new government of Narendra Modi was firm on an indefinite peace clause till a permanent solution is found to the issue of food security in developing countries. Despite objections from Argentina and some other developing countries which had raised concerns about the broader trade policy agenda, India got its way. But it was in an oddly roundabout way that made it clear that the dispute at Bali was clearly a US-India standoff. 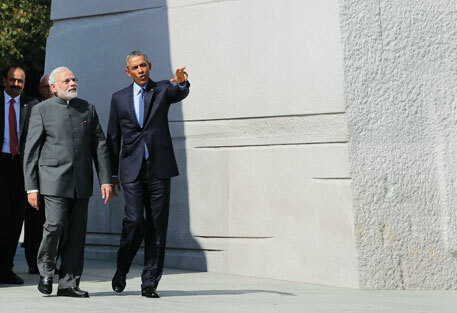 Going against the canons of multilateral negotiations, it was a bilateral understanding-with the US during Modi’s meeting with President Barack Obama-that cleared the decks for the November breakthrough. US Trade Representative Michael Froman confirmed this in New Delhi when he was here for the ministerial-level meetings of the US-India trade policy forum. 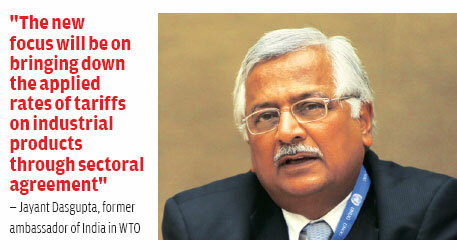 He said that the breakthrough at the WTO was possible only because of the understanding between Modi and Obama. But did India make this gain at the cost of less developed countries? The reason why the US and other developed countries, primarily, the 27-nation European Union, agreed to the deal is the bigger prize they have netted: the TFA, which has become a binding pact. The agreement is described, rather simplistically, as one that will lower customs barriers and ease red tape at borders and ensure smoother flow of their exports to developing countries. But for the poorer nations it implies a huge cost with no commensurate returns. TFA, pushed “aggressively and relentlessly by the developed countries”, is only about import facilitation, says Jayant Dasgupta, India’s former ambassador to the WTO. “There is nothing in it about export facilities for developing country exports,” says Dasgupta, a highly regarded trade negotiator who has championed the interests of developing and least developed countries (LDCs) at the apex trade organisation. Other trade analysts, at Third World Network (TWN), for instance, also say there is no adequate balance between the demands of the developing countries and what is being provided as a package with TFA. TWN is an independent non-profit that conducts research on economic, social and environmental issues pertaining to the South. Essentially, developed countries are seeking speedy clearance of consignments (in 24 hours or less), clearance of consignments on the basis of bank guarantees or corporate guarantees, and the setting of advance ruling machinery to deal with a universe of mercantile issues that the majority of developing countries are ill-equipped to deal with, technically or financially. Just prior to the Bali ministerial, rich nations had blandished a well-publicised study released by the Paris-based International Chamber of Commerce that claimed trade facilitation would push up global income by US $1 trillion and add a whopping 20 million jobs, the biggest chunk of it, 18 million, purportedly in the developing world. The report has been slammed by analysts for its “unwarranted assumptions” and flawed methodology (see ‘The Bali myth of $1 trillion trade gains’, Down To Earth January 1-15, 2014). A previous World Bank study had concluded that trade facilitation will account for overall trade gain of just $377 billion. Of this, developing countries would net additional trade of just $33 billion against a global trade volume of $14.5 trillion at the time. “This is next to nothing,” says the former envoy. Talking to Down To Earth, Dasgupta says the standard argument of developed countries is that TFA is good for developing countries. But this is clearly misleading. Since developed countries already have advanced levels of infrastructure, computerisation and human resource development, no additional effort is required on their part to meet the norms laid down in TFA. On the other hand, developing countries will need to spend hugely to improve their infrastructure for exports growth and that will not be paid for by the rich world. There is no clear answer to that or many other critical issues relevant to developing countries. Instead, there are new threats looming at WTO. The most critical issue is NAMA, which is shorthand for non-agricultural market access, or tariffs on industrial goods. Dasgupta warns that the focus will be on bringing down the applied rates of tariffs through sectoral agreements. Applied tariff is the actual duty levied on imports which is much lower than the bound rate which is the maximum rate on commodity lines that countries have negotiated at WTO. Among the sectors which are being targeted are industrial goods and machinery, electronic products and chemicals, including pharmaceuticals. None of these sectors is well developed in India and bringing down tariffs further would effectively cripple growth in these manufacturing industries which are expected to provide jobs for the legions of unemployed youth in the country. Modi, who is hoping to take the country on a new wave of industrial growth and job creation with his Make-in-India policy, needs to keep close tabs on what comes next at the WTO. If not, he could find that his pet project and India’s development are derailed forever by the agenda of rich nations. He cannot claim he was not warned, or unprepared. Was India truly the party pooper at WTO?